New Sound Samples for Colorado Lark Flute & Guitar Duo! 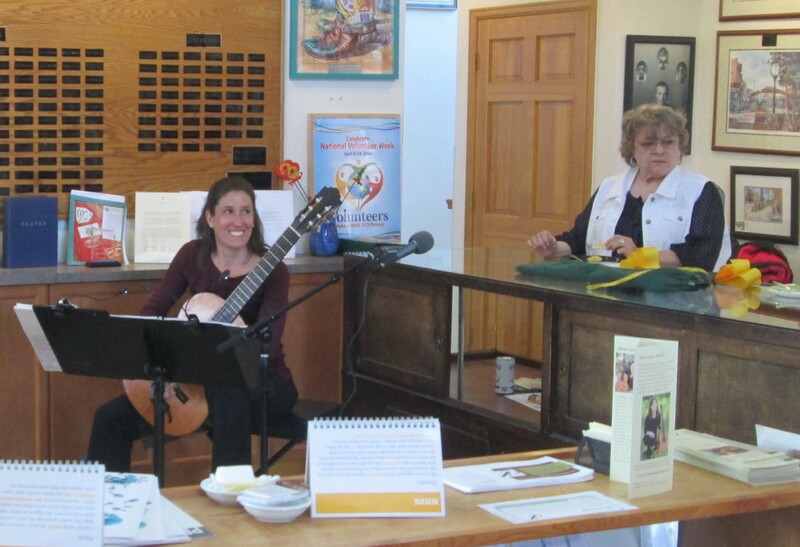 Jennifer Pauley and I recorded music in June for our Colorado Lark Flute & Guitar Duo. Included in the selections are Spanish, contemporary, traditional, and Baroque sound samples. The samples are posted on the “Audio” page of the website. Enjoy! Last Thursday, I performed in the Wheat Ridge Cultural Commission’s “Meet the Artist” series at Fran’s Cafe. 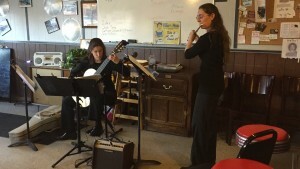 For the first set, I performed as part of the Colorado Lark Flute & Guitar duo with flutist Jennifer Pauley. 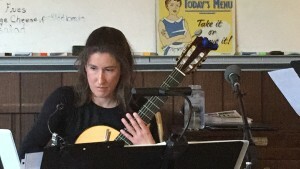 After talking to the audience about my life in Wheat Ridge as a performing artist, I then performed a solo set comprised of acoustic and classical music. The 2014/15 “Meet the Artist” series is focused on Wheat Ridge performance artists. Upcoming events include saxophonist Andrew Salas on April 16th at Salsa’s Mexican Restaurant, belly dancer Carrie Lynn Arata at Ornamental Beads on May 21st, and the T.E.V. Edelweiss Volkstanzgruppe at Colorado ACTS on June 18th. Welcome to the Colorado Lark Duo! 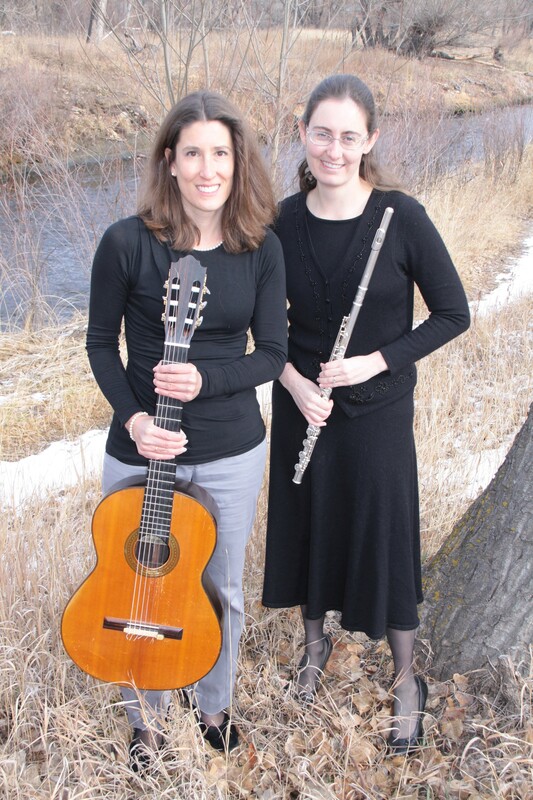 I recently formed a duo, the Colorado Lark Flute & Guitar Duo, with flutist Jennifer Pauley. I am excited about upcoming musical adventures through this collaboration. I met Jennifer at a Denver Musician’s Association workshop taught by Chris Loffelmacher and Marta Burton. We have rehearsed a couple of times and look forward to performing a demo set at the Applewood Business Association February luncheon. I have just finished recording Billy Holiday’s expressive jazz tune “Darn That Dream” and the serene spiritual “Amazing Grace.” Billy Holiday is best known for her song “God Bless the Child,” but I feel in love with “Darn That Dream” after hearing it performed by The Ever Hopefuls at a JUC First Friday Open Mic. “Amazing Grace” has been interpreted and re-interpreted in countless performances over the span of many generations. I have enjoyed coming up with my own rendition of this classic spiritual. Sound samples are posted on the audio page of my website. Happy listening! This past Saturday, I played at the Golden Farmers’ Market. It was a sunny, beautiful day and a lot of fun to play in a community setting. The farmer’s market had generous amounts and a variety of fresh veggies. If a hail storm or other surprises from Mother Nature disrupt my own garden’s growth, I now have a backup plan for enjoying summer produce! I performed a two-hour set this morning at the Ridge at 38 Criterium. Seven road bike races took place throughout the morning and early afternoon in Wheat Ridge. 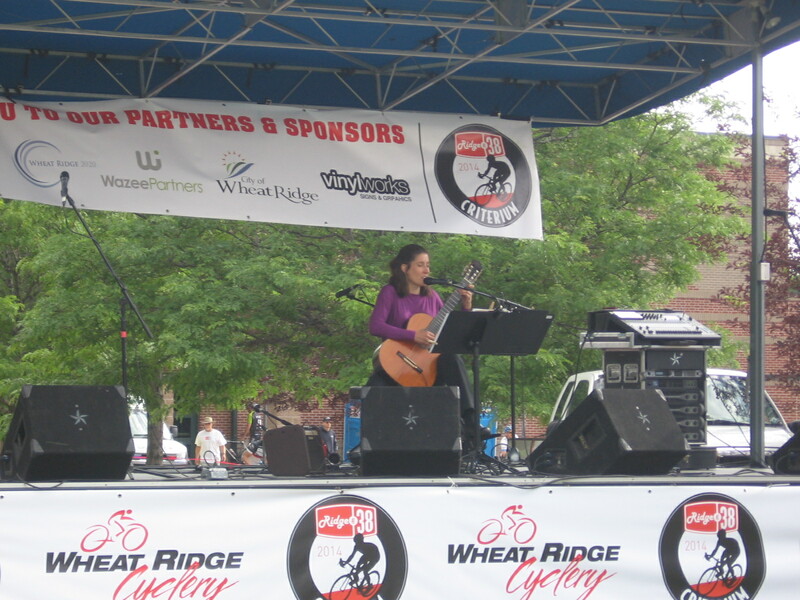 In addition to the bike race, festivities, including live music, took place at the event. I performed a blend of acoustic/vocal and instrumental pieces. After I concluded my performance, I enjoyed watching the races on the Green. It has been a busy spring performing at many new venues! 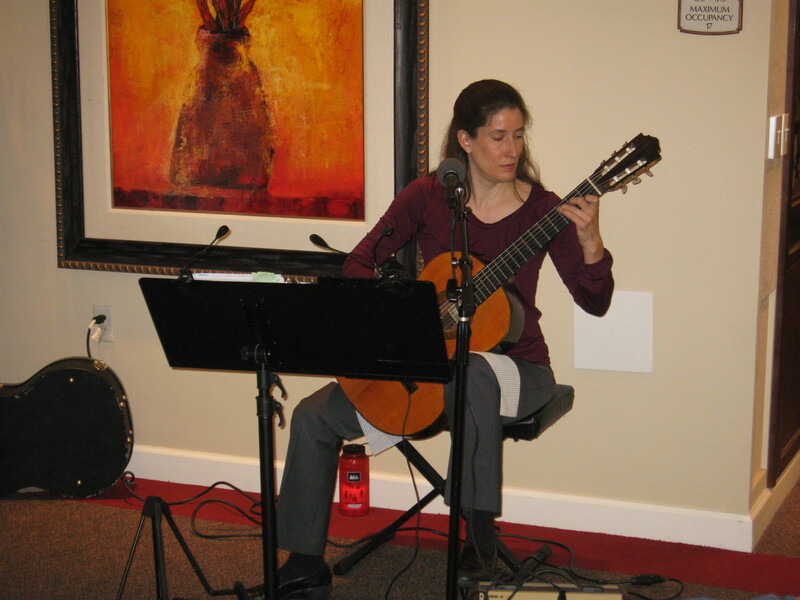 In the past few weeks, I performed classical guitar music for a yoga class at The Point Athletic Club in Lakewood. 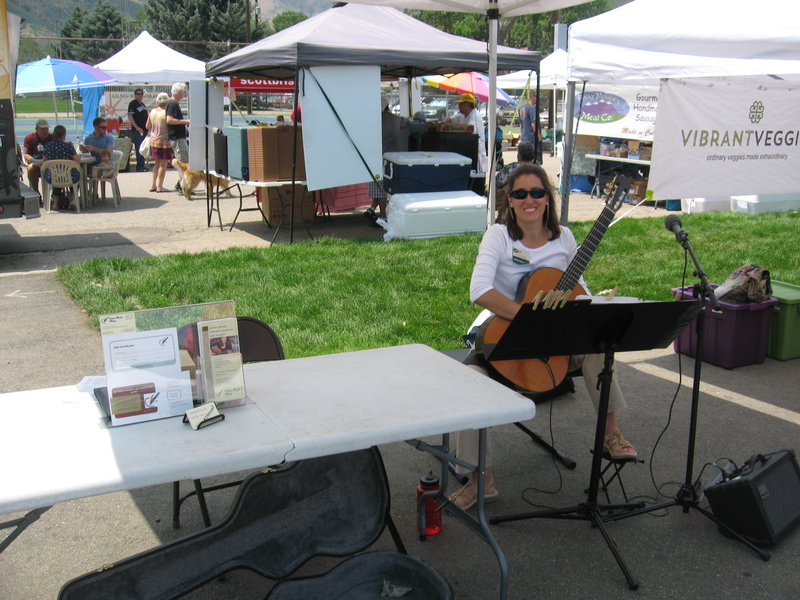 The following week, I performed classical guitar and vocal/acoustic music at the Wheat Ridge Kite Flite Festival. Thanks to Seyfer Automotive, I was able to plug into the PA system and provide live music for the Anderson Park festivities. 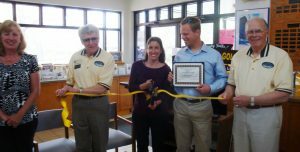 Then, a ribbon cutting for my business “Bartle Guitar Studio” took place at the Golden Chamber of Commerce Visitor’s Center (see above picture). Cindy Burgess of Rodan and Fields also had a ribbon cutting event that afternoon in combination with mine. Friday of that week, I performed at the Wheat Ridge Business Association progressive ribbon cutting and open house events at Peter Damian Fine Jewelery & Antiques and Posey Girl Floral Boutique. Finally, I performed last night at the first annual Taste of Golden event sponsored by the Golden Chamber of Commerce. 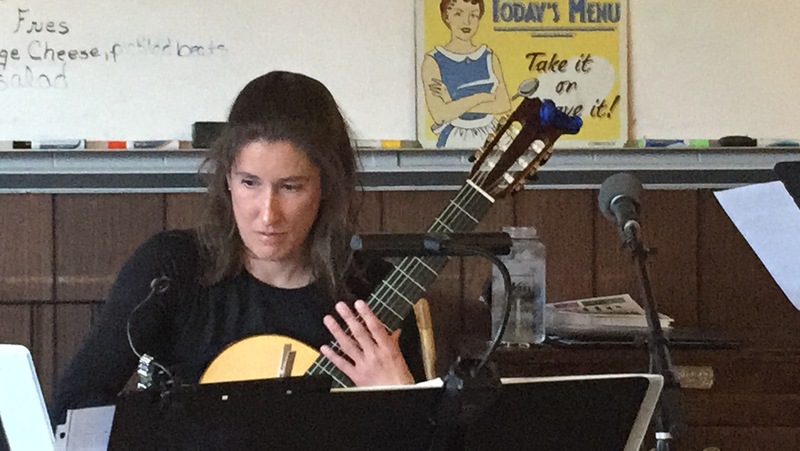 During the past two weeks, I finished recording four classical guitar pieces. I posted excerpts from each of them on the “audio” page of my website. Included in my recordings is the timeless Schubert version of “Ave Maria.” In addition, I recorded one of Bach’s most famous works, Prelude in C, Spanish composer Tárrega’s “Lágrima,” and the stately Pavane III by Renaissance composer Luis Milán. Enjoy! My grandmother developed dementia toward the end of her life. She had difficulty remembering who I was–at times not recalling that I was her granddaughter. Yet, she could recall songs in their entirety. 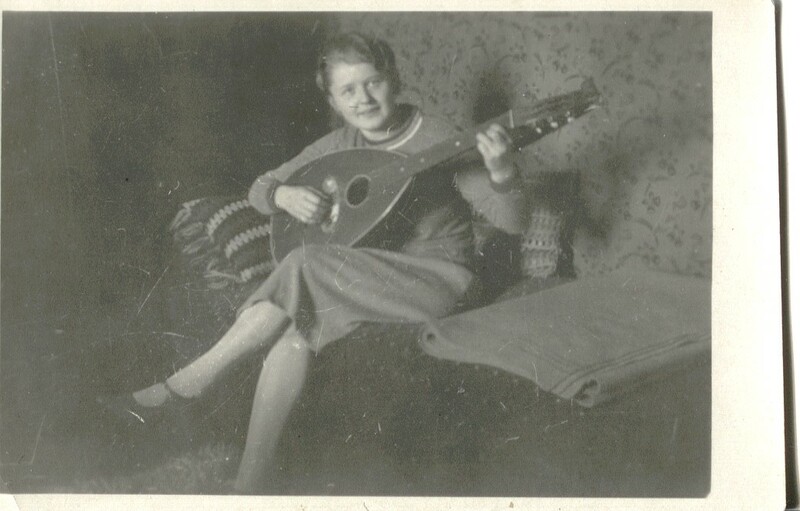 Although the recollections of her present and more recent life were slipping away, her musical memories were intact! I came across a fascinating article in the New York Times that describes the powerful role music can play in the lives of those afflicted with Alzheimer’s and dementia. Click here to read it. Copyright © 2013-19 Bartle Guitar Studio, LLC. All rights reserved.